In the mid 1960s the Argentine government issued a requirement to Fabrica Militar de Aviones (FMA), for a new combat aircraft suitable for the COIN, CAS and recce roles. 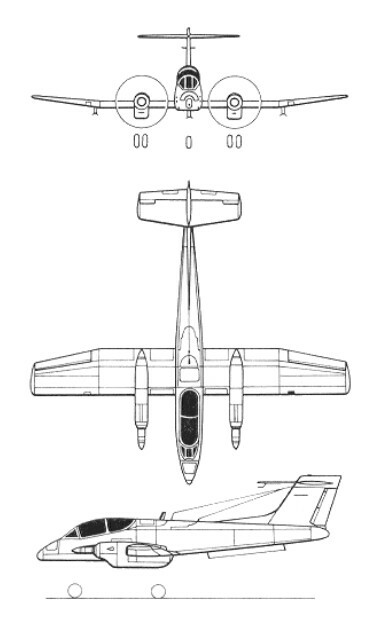 Development of the FMA IA 58 Pucara ground-attack aircraft began in August 1966 and led to the flight of an unpowered aerodynamic test vehicle on 26 December 1967. The first powered prototype, by then known as the AX-2 Delfin, and with two 674kW Garrett TPE3311/U-303 turboprop engines installed, was flown for the first time on 20 August 1969. Subsequent prototypes were powered by Turbomeca Astazou XVIG engines and fitted to all production aircraft. A cantilever low-wing monoplane of all-metal construction, the Pucara has a T-tail, a retractable tricycle landing gear, and accommodation for a pilot and copilot in tandem on Martin-Baker ejection seats beneath a large transparent canopy. It has narrow fuselage and tail section and a tandem seat cockpit with a steep sloping nose. Because of the steep nose the pilot has excellent forward visibility. Although heavily armed the weapons are unguided and visually aimed by the crew. The IA 58 only needs a minimum of ground support to operate, it is able to operate from unprepared rough terrains. More prototypes were produced and on 8 November 1974 the first of 60 IA 58A production aircraft for the Argentinian Air Force made its maiden flight. The initial production version, the IA 58A, flew for the first time on 8 November 1974 and first deliveries of 108 ordered for the Argentine air force began early in 1976 and continued until 1986. Six were also ordered for the air force of Uruguay. 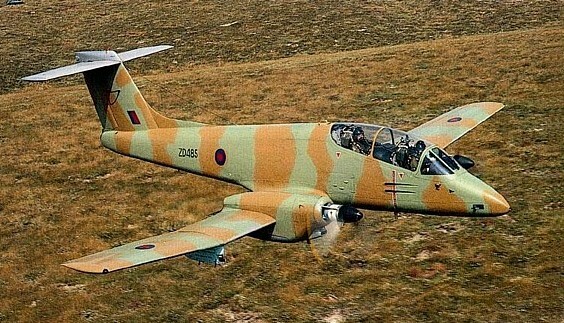 Forty improved IA 58B Pucara Bravos with advanced avionics and more powerful armament (30mm instead of 20mm cannon) were ordered for the Argentine air force in 1980 but were completed as IA 58As following the Falklands campaign. A single IA 66, a Pucara with more-powerful 746kW Garrett TPE331 engines, began its flight test programme in 1980 but did not proceed any further. Pucara production ended with a batch of 40 IA 58As built from 1986 onwards but no further sales were subsequently announced and they are believed to be in store as 'white tails'. About 3 aircraft were captured by the United Kingdom during the Falkland War, they are now preserved by the RAF. First flown on December 30, 1985, the single-seat IA.58C is a developed version of the earlier IA.58A, in which the forward cockpit is replaced by a new nose section housing a 30mm Defa cannon with 270 rounds, in addition to the usual armament of two 20mm cannon and four 7.62mm machine-guns. The Astazou engines of the IA.58A are retained, but feature self-starters and modified exhausts to reduce their infrared signature. The IA.58C incorporates a complete avionics upgrade, including an Omega/VLF navigation system, Hud, IFF, and radar warning receiver, together with a Saab RGS-2 lead-computing sight for air-to-air or air-to-ground use. The IA 58A is also operated by Colombia, Sri Lanka and Uruguay but only in small numbers. In December 1989, Argentina delivered three Pucaras to Colombia on loan for use against drug manufacturers and smugglers. Initial ROC: 1080 m / min. Combat radius hi-lo-hi: 350 km. Armament: two Hispano HS804 20mm cannons with 270 rounds per gun, four FN Browning 7.62mm guns with 900 rounds per gun; up tp 1500 kg (3,307 lb) of free fall load.